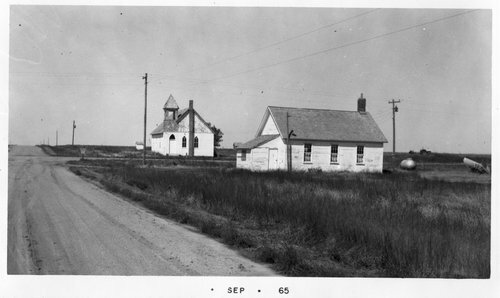 This photograph is of a church and country school in Chicago, Kansas. Chicago was located in Sheridan County. The Chicago post office was established in 1880 and disbanded in 1887. The photograph was taken in 1965.